Was it a good day? That is great. Where is that? 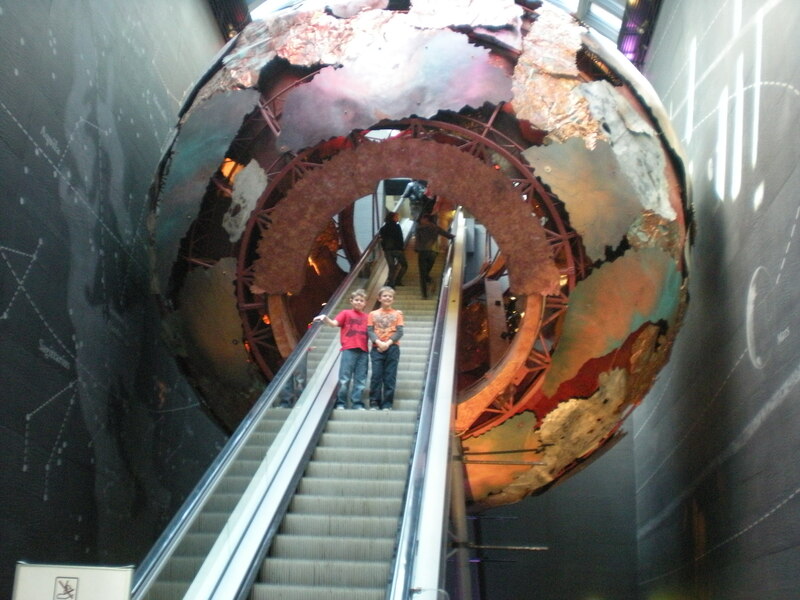 Natural history museum in london! Right next door to the science museum and opposite the V&A. Depending upon how many museums you can take in one day! Wow the NHM has changed since I was last there! We’ve been wanting to take our little girl for a while, and this has made me even more keen! Wow that looks awesome. Really need to get down to that London some time. Wow that looks amazing. Wish I lived closer to london. Great photo. Never seen an escalator with one of those over it before. Wow, that brings back amazing memories! My daughter and I went in through the Science Museum, up that very escalator, and out of the Natural History museum past the diplodocus. It’s changed a lot since I was first there, I remember they had a volcano simulation right by the front doors, I pressed the button, the whole thing started rumbling and shaking and I was terrified I’d just demolished the building!